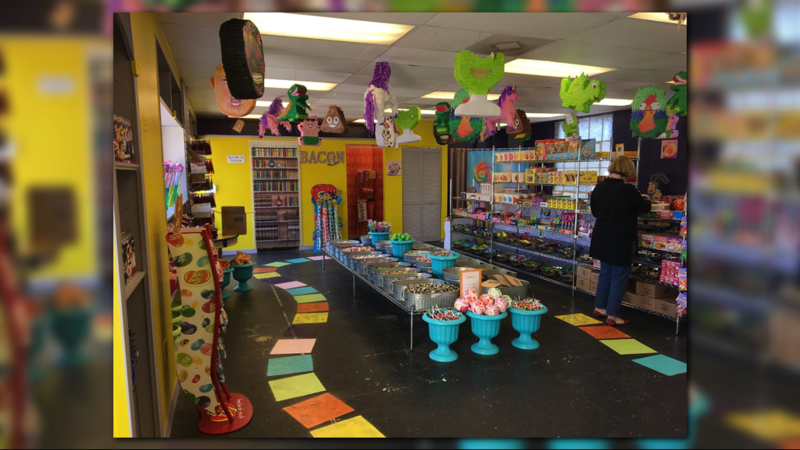 An overview of what you'll first see walking into European Street Sweets in San Marco. 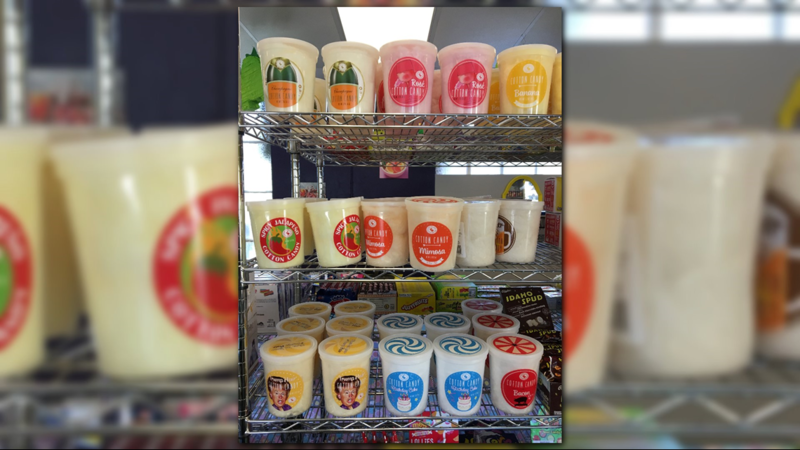 A wall of salt water taffies, many of which have odd flavors like chicken and waffles, buttered popcorn and tiramasu. 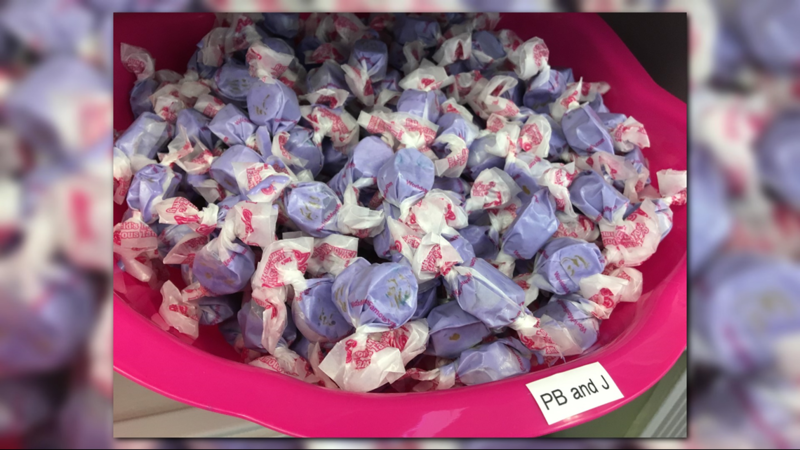 PB and J salt water taffies. 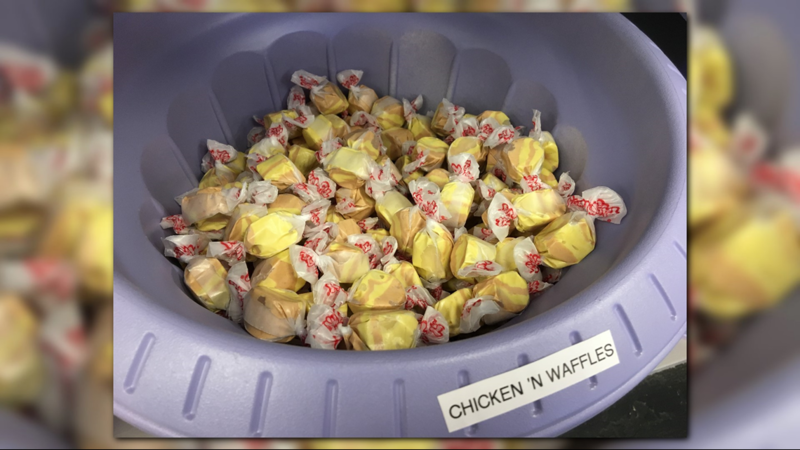 Chicken 'n' waffles salt water taffies. 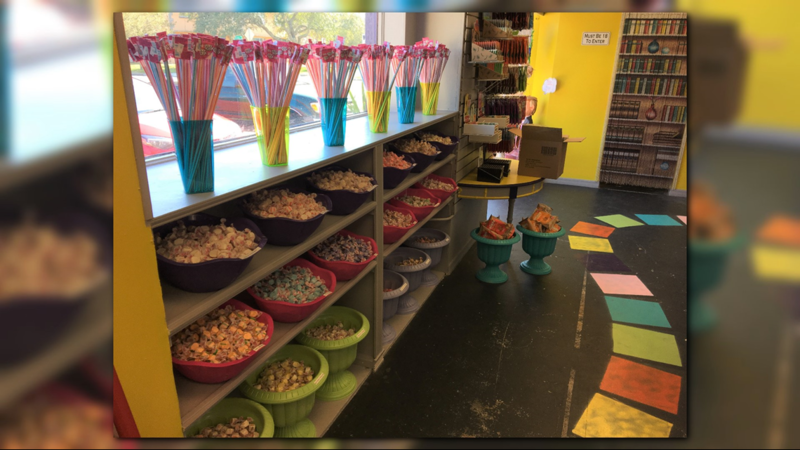 European Street Sweets also sells candy in bulk for $8.99 a pound. 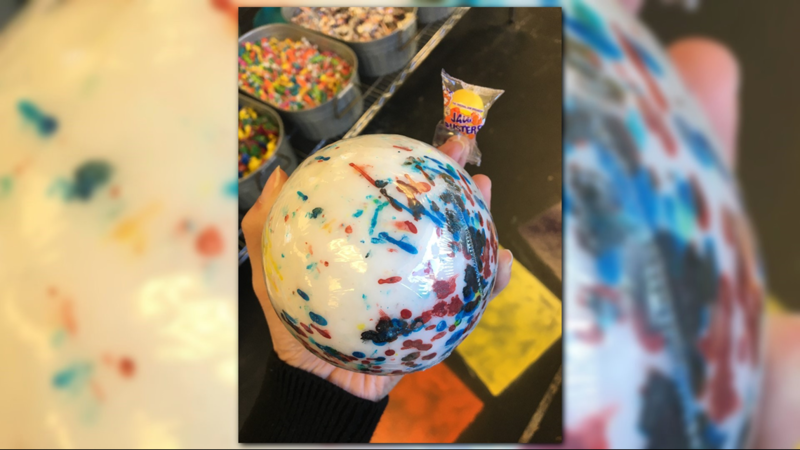 You can find one of the biggest jawbreakers you've ever seen, as big as an adult hand! 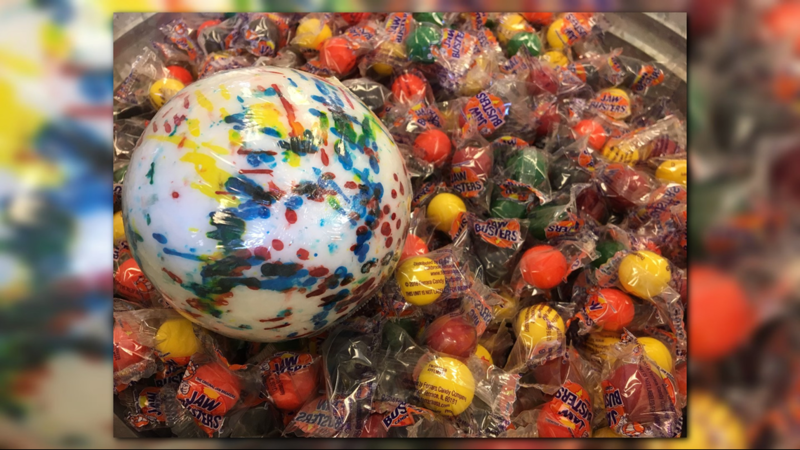 It's being held up with a normal size jawbreaker for size comparison. 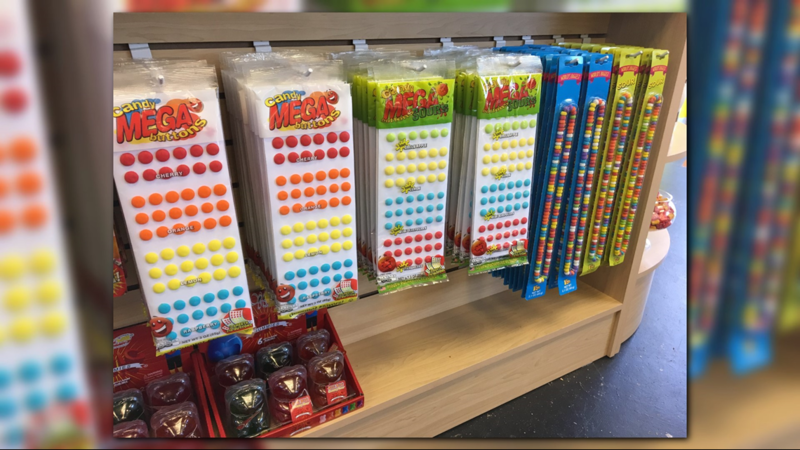 The $14.99 jawbreaker placed with normal size jawbreakers to compare sizes. 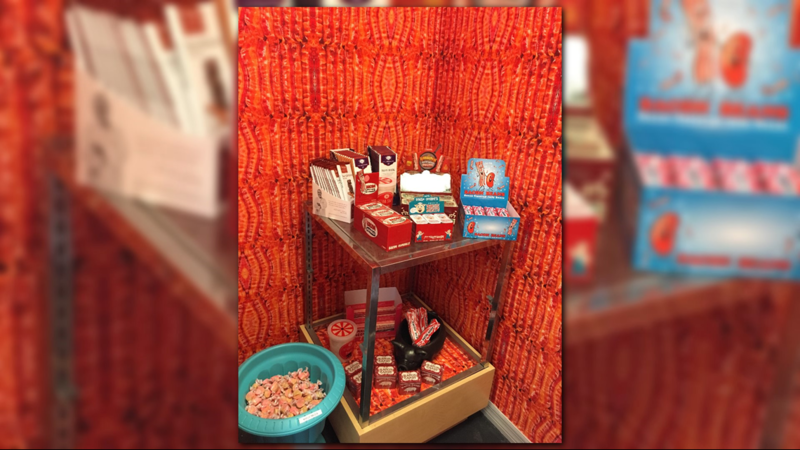 European Street Sweets has a bacon room complete with bacon wallpaper and bacon-flavored treats like chocolate, mints, gumballs and taffies. 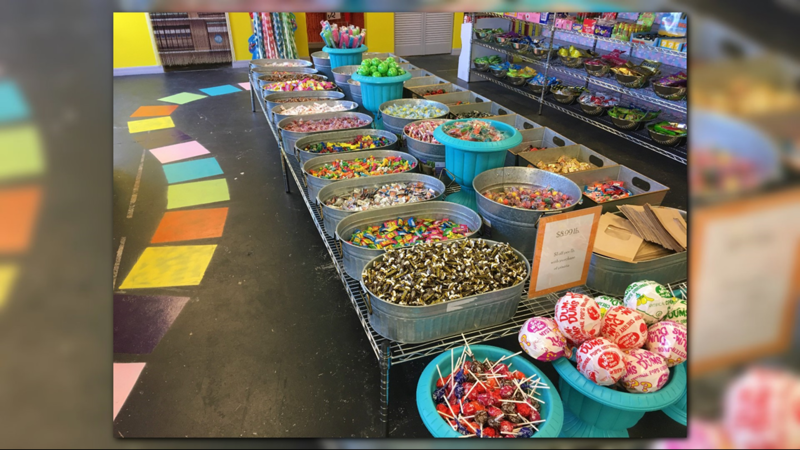 The cotton candy selection includes flavors that are not cotton candy, but rather spicy jalepeno, champagne, mimosas and more. 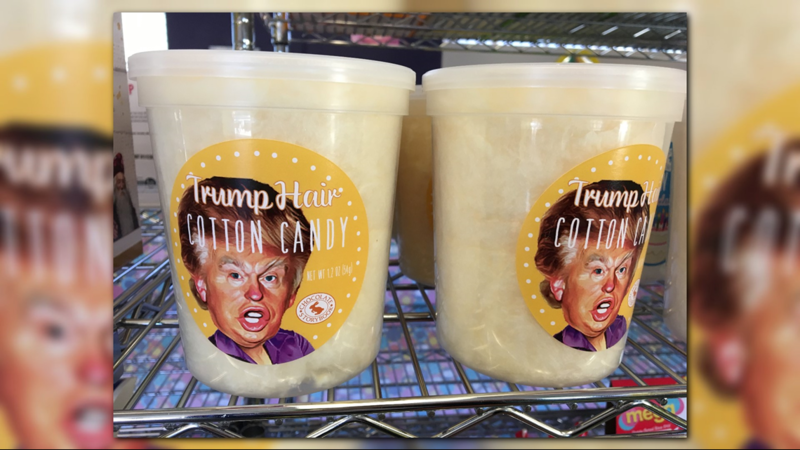 Trump Hair is one of the flavor cotton candies available at European Street Sweets. 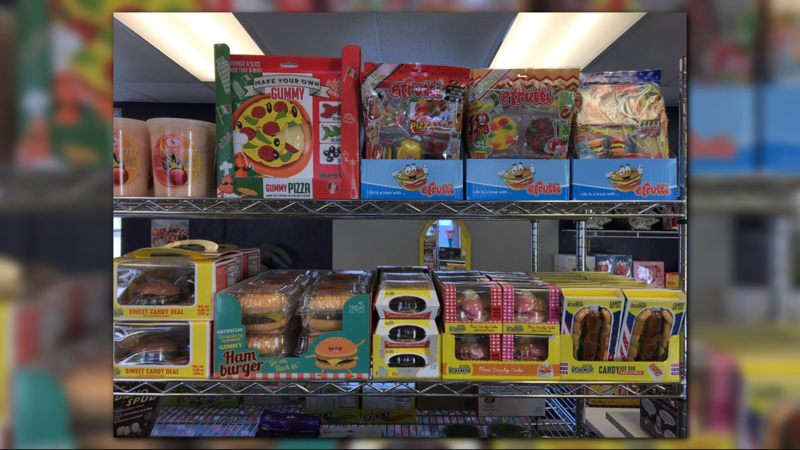 A portion of the gummy selection available, includes gummies that taste like pizza and hamburgers. 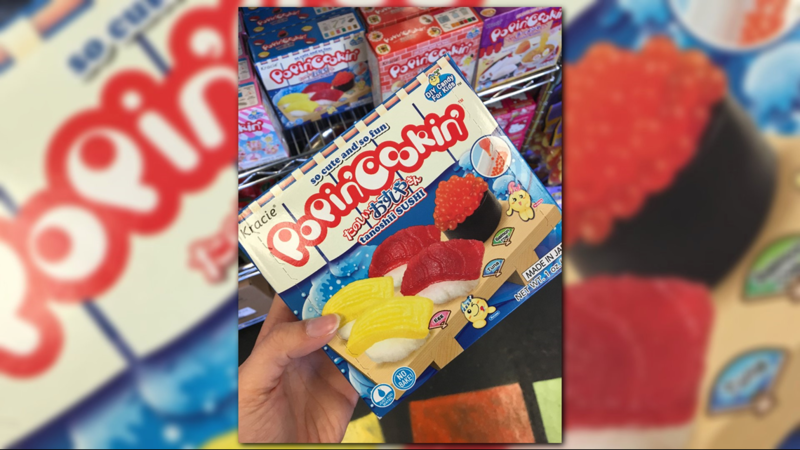 This Japanese-based candy is a DIY set where you make sushi candies. 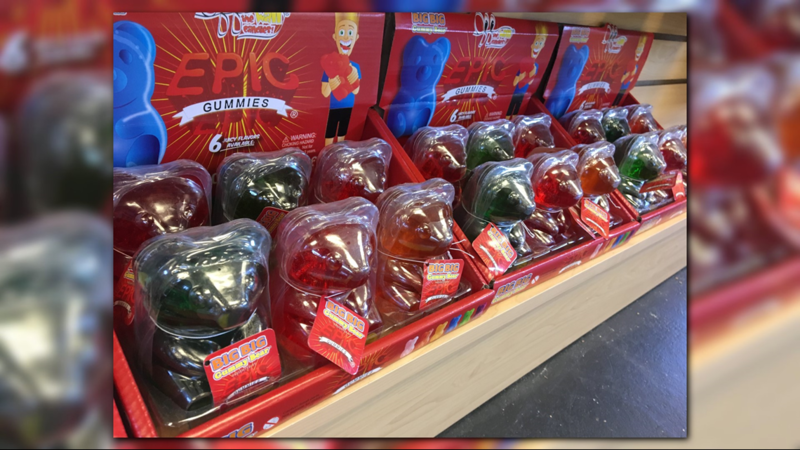 Instead of a normal-sized bag of gummy bears, buy a gummy bear that's as big as your hand! 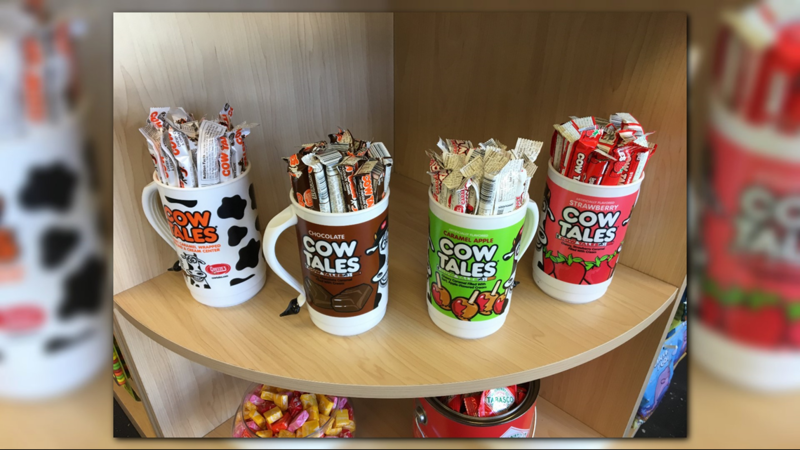 Turns out, Cow Tails come in other flavors aside from chocolate. 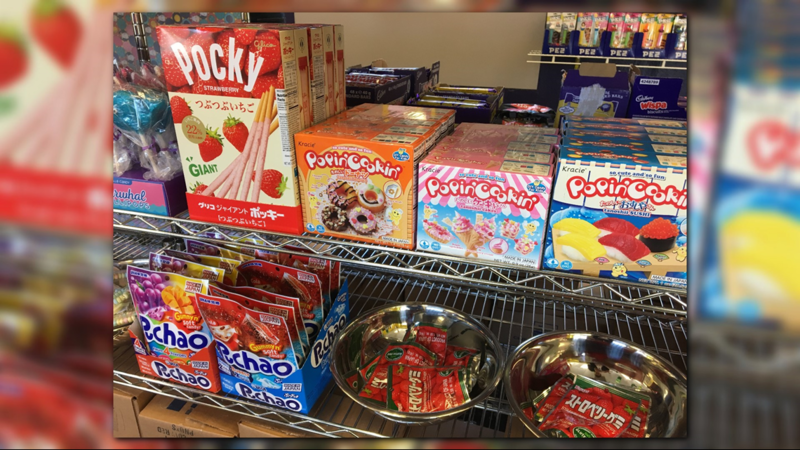 European Street Sweets sells strawberry and caramel apple, too. 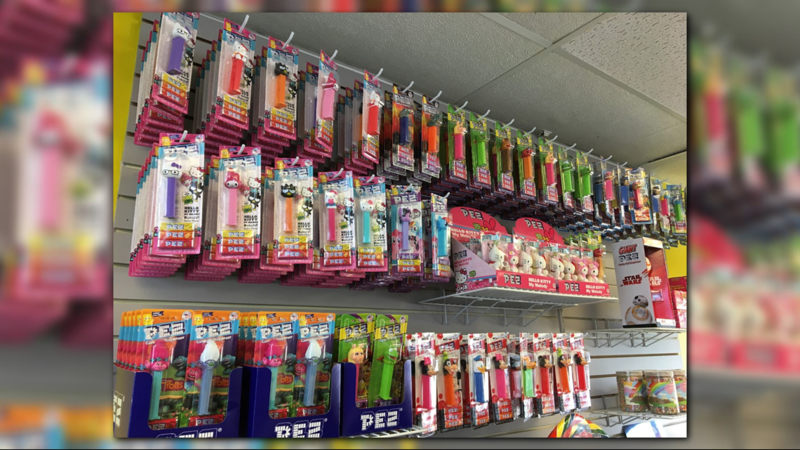 One wall dedicated to their PEZ selection. 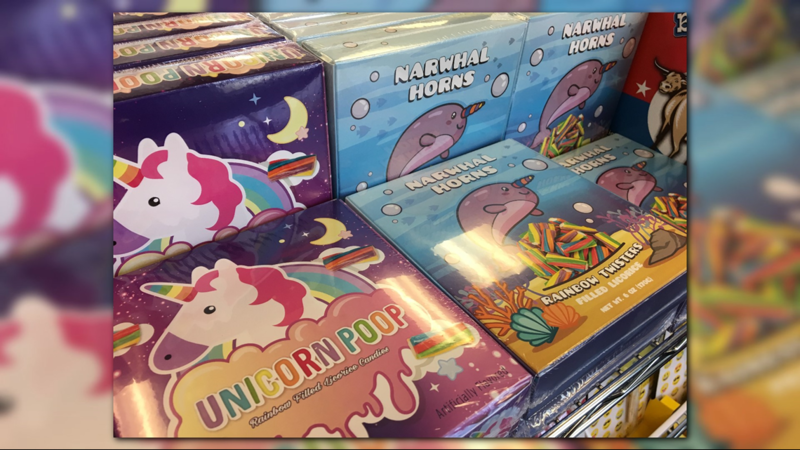 Unicorn poop and narwhal horns take Twizzlers to a whole new level. 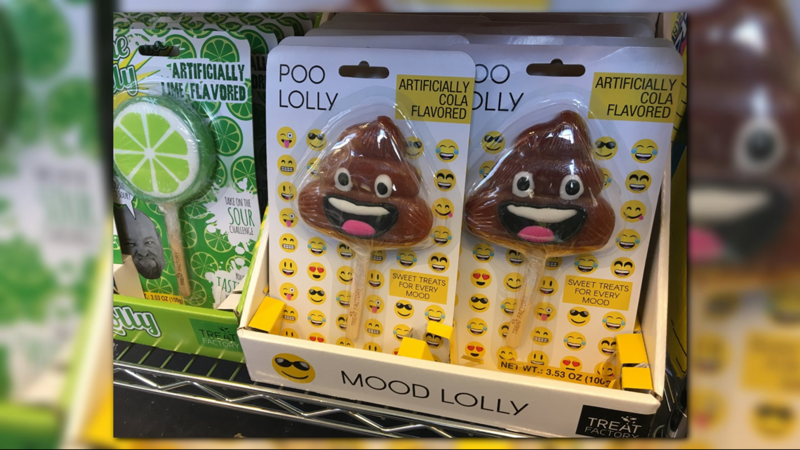 Poo lollies are just some of the emoji lollipops available. 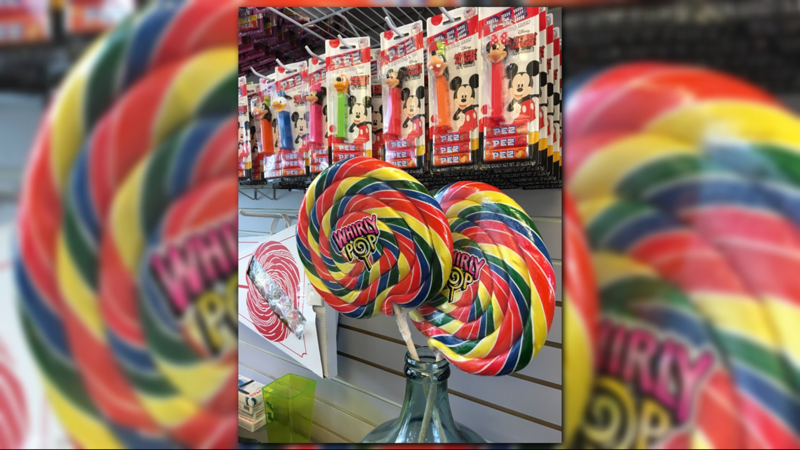 Whirly Pops are the most expensive candy sold at European Street Sweets for $45. It weighs about three pounds. 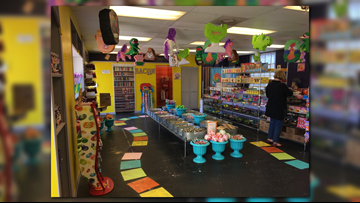 There's a separate candy room for folks 18 or older. 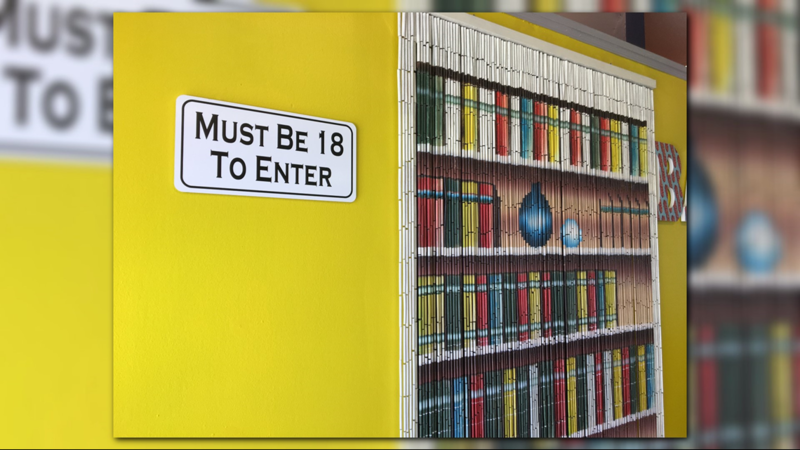 It's perfect for Bachelorette parties.